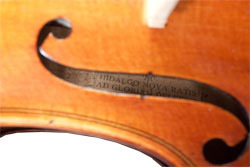 Hidalgo Moya was a Mirecourt trained maker who worked in Leicester during the time this instrument was made in 1912. The label contains the maker’s motif. This instrument has an attractive one piece highly figured maple back with matching ribs, neck and scroll of similar maple. The top is two-piece, very finely grained Spruce to slightly wider grain on the flanks. 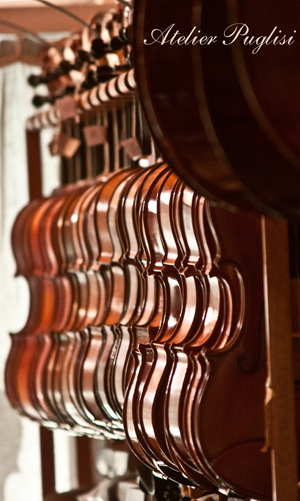 The instrument is in excellent condition.